Class skill level: Beginner - Brand NEW to Crocheting! This 4 session class will offer the instruction necessary to learn four basic crocheting stitches, how to work with rows and rounds, how to read basic crochet patterns, and how to make swatches. Crochet stitches start from a basic chain that is in turn started with a slip knot. Once you know how to make a chain and work your way back along the chain you will know how to crochet. It’s that simple, really! 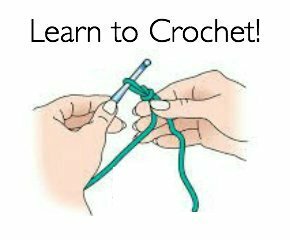 We will also learn the basic stitches of crochet. You will also learn to read/understand stitch abbreviations and basic patterns! The projects will include fingerless mittens and a stitch sampler cowl. Classes support yarn purchased at Amazing Threads.